I swim in an innovation pool that boasts of developers, interface designers, programmers and entrepreneurs called Co-Creation Hub. Located in the emerging tech district in Lagos, Co-Creation Hub is the geek’s nest and the innovator’s hub. I am a faithful of that academy that picked me up from the bank’s cubicle to lead BudgIT, the double helix of civic awesomeness. BudgIT strives hard to make budget access easy for everyone. Few months ago, we had our website with a messy backend and our mobile platforms were grossly underperforming. The only bright spot was our Twitter page which was a restless stream of tweets on public finance and other related data. Working with a group of amazing geeks in Co-Creation Hub, BudgIT has been able to fix it platforms with every state having its personalized page which include infographics, interactive applications and relevant data. Our mobile platform experience is different from the web and we have gone a mile further to release Android and Blackberry Apps. We have gone ahead to redefine the narrative on our mobile platforms with quick access to the budget, projects and monthly allocations. We have also released our apps on the Blackberry and Android platforms, which are the most common within our environment. This is a way of reaching to young and urban Nigerians who have access to smartphones and can lead the national discussion on budgets and public data. Screenshot of BudgIT mobile site (yourbudgit.com) We have decided to go from a budget access to budget tracking platform. This new offering of ours is known as Tracka. Tracka is a social platform of active citizens who are interested in tracking budgets and public projects in their community. Layered on open data and also integrated with existing social media tools, this platform will bring people of common interests together to share photos, videos, documents and also post comments on existing projects. This has the power extend the use of open data to the larger society who earnestly yearn for improved government services.  There is a strong wish from our end to integrate Tracka with OpenSpending, the visualization platform of the Open Knowledge Foundation. Tracka: Our Public Projects Platform Our goal is to amplify the voices by shining light in corners less understood. Most people are not aware of projects in the neighbourhood and don’t ask the right questions or connect to institutions you are suppose to implement the projects. BudgIT wants to lead that conversation based on facts that the budget is a promise to the citizens. Performance can only be ensured when the citizens and government are on the same page. We want to match the right communication tool to every citizen and ensure that they become active citizens by actively demanding what is right for them. The next push will be spike the kind of viral marketing, the kind the Nigerian ecommerce platforms put forward in their early days. As we go on the path of democracy, every voice must count.